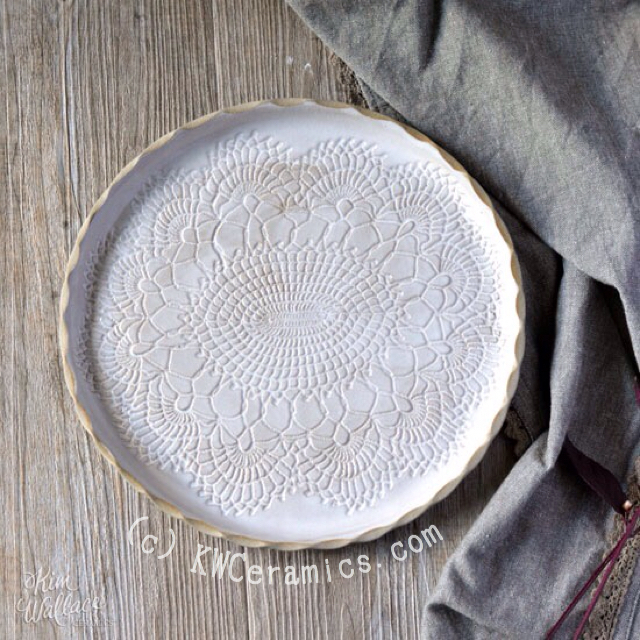 Australian artist Kim Wallace of KW Ceramics created this beautiful lace-like plate. She cleverly imprinted a lace doily to give it its mandala-like design. As a doily maker myself, I’m thrilled and inspired by her creativity! My pieces eternalize the gorgeous patterns and the impression into the clay seems the perfect medium to be able to enjoy the beautiful craft of lace doilies all over again. Check out more of her vintage lace collection via her website.